So funny! None of my cats (knock on wood or something) have ever gone after toilet paper. 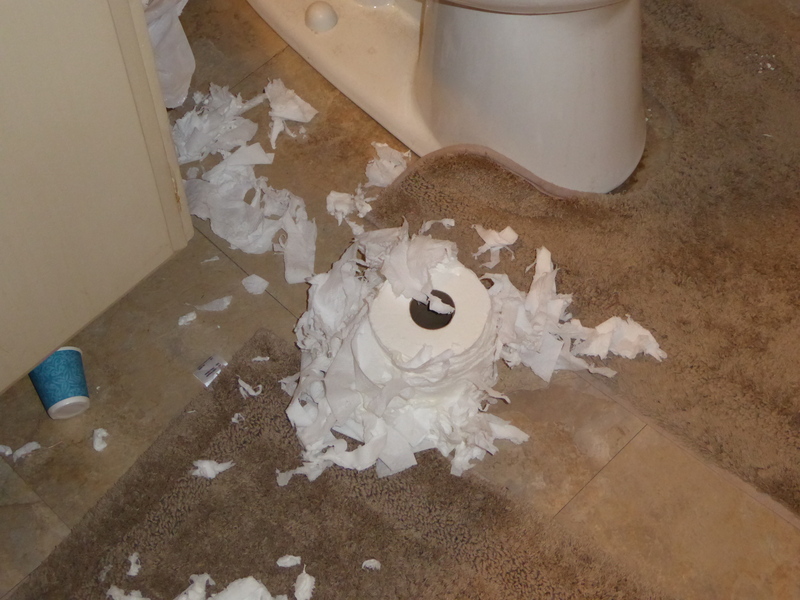 Bills, tax papers…yes but not toilet paper. What a mess! You sure have a lot of patience! Not really, but what are you going to do?